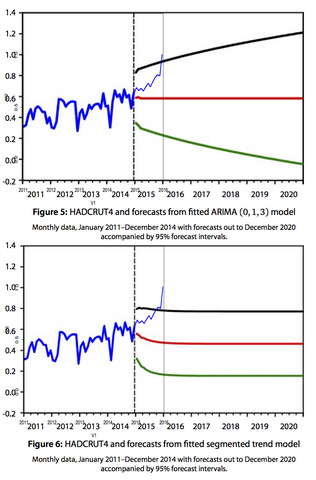 James' Empty Blog: Global Warming index to be launched? Global Warming index to be launched? The first Global Warming index is to be launched this week by UBS, allowing businesses most affected by the uncertainty of climate change – from ice-cream salesmen to makers of winter coats – to hedge their profits against it in a simple and transparent fashion. Retail and institutional investors will also be able to buy exposure to, or short sell, the index in much the same way they would with the FTSE or Dow Jones stock indices. If temperatures rise, so will the value of the index. So far so good. However, it seems that the index is some composite of existing localised degree-day indices that they already trade in - these are relevant indicators of temperature (probably more useful to farmers and energy traders than mean temperature) but not directly a measure of mean temperature (or max, or min). The index will also be entirely based on US data, initially at least. So it will take a little work to relate this to the descriptions of temperature change that most climate research is couched in (arguably we should be talking about degree-days if that is what the users want...). Despite these limitations, I'd be very interested to see more details of exactly how the index is defined, over what time scale the options are tradable and what prices they fetch. “Global warming has created much more volatility in temperatures and weather conditions, which has led to increased liquidity in the weather derivatives market,” Mr Murisic said. I don't know if there is any scientific basis for the first half of that sentence, and I bet increased liquidity has much more to do with economics etc (general growth, awareness of the products, changes in business practice) than climate change. UBS hopes the index will turn the complex business of investing in the world’s weather into a popular asset class, one that is entirely uncorrelated with returns in other assets such as stocks or bonds. The punter's verdict: worth a look. I'm sure this isn't what he means, but volitility always increases with temperature, as vapor pressures are temperature dependent. Never mind - climate science creates its own reality since the fundamentals of meteorology would lead to the conclusion that rising temperatures at the poles relative to the tropics would lead to a reduction in storms, durm und strang, desertification and so on. I'm willing to bet good money that Connelley won't be putting any money on the Global Warming Index - he's brave as we all know. As heard on "The News Quiz"